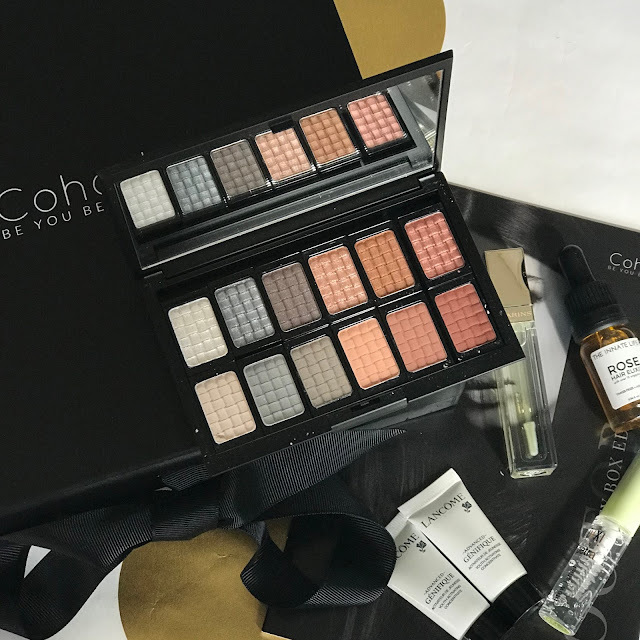 This week I am bringing to you a review of October's Cohorted Beauty Box. If you are a fan of subscription boxes then you would have definitely heard of this box. 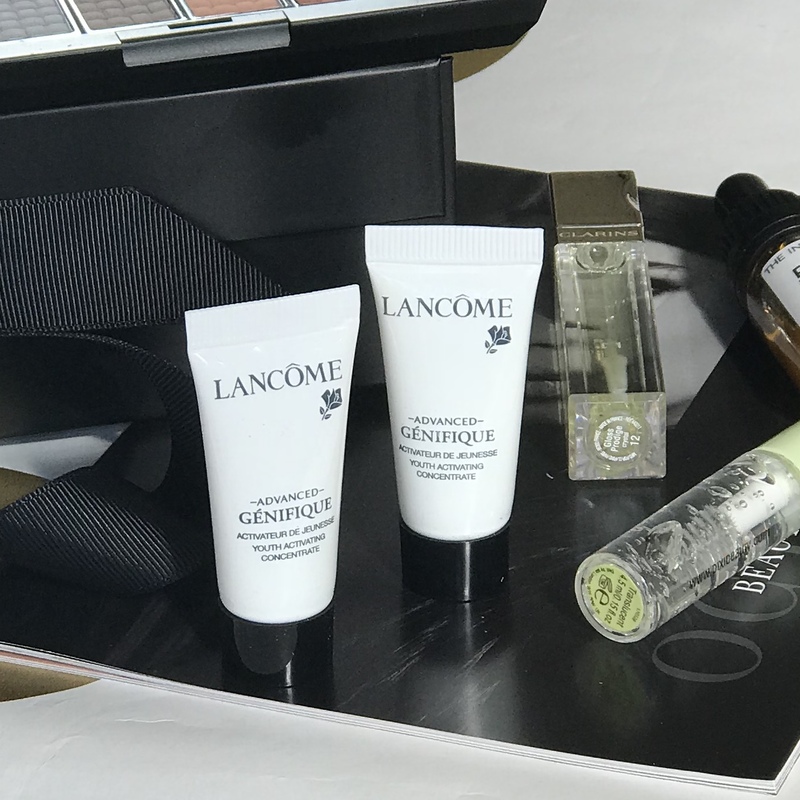 It contains luxury, high end products, which are sent to your door every month. This is one of the most sought after subscriptions boxes on the market. At £35 it doesn't come cheap, so I thought I would share whether or not I thought it was actually worth it! First up we have a gorgeous eyeshadow palette by Doucce, not a brand I had heard of until now. This stole my attention straightaway, a beautiful eyeshadow palette with 12 shades. 6 matte and 6 shimmers. 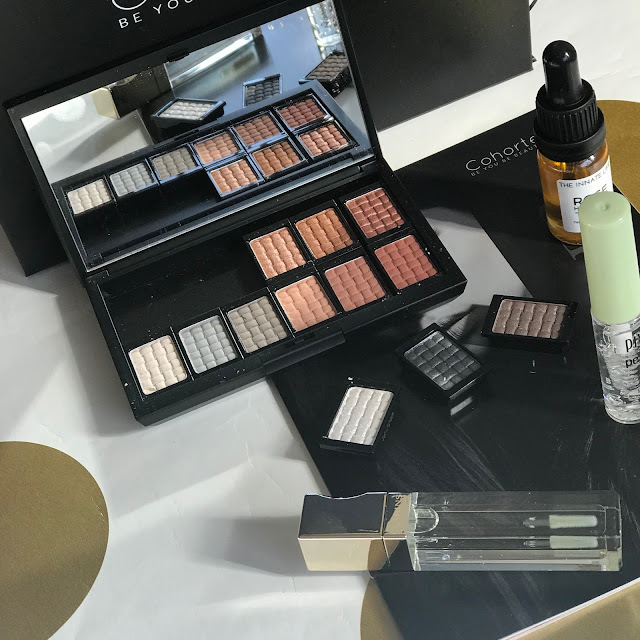 The colours in this palette are lovely for everyday and the shimmers have little particles of glitter in, so it's the perfect palette to go from day to night. I love the fact that the pans are all removable and the casing is magnetic, so you can personalise your palette or just use the shades you need. When swatching the shades, the shimmers are what stood out to me, but that may be because I'm a bit obsessed with anything sparkly. Think like a moth to a flame. (Ew.) The matte shades were lovely colours, but not particularly pigmented. An added bonus was the large mirror in the casing. You make your £35 back on this palette alone as it is worth £50. This is a clear gloss that can be worn on its own or over another lipstick to make it glossy. A smooth, gel like formula, that is really comfortable to wear. Having never tried Clarins before I am actually quite impressed with this product and can definitely see myself using it over other lipsticks. Another clear gel formula, but this time for those bushy brows. I really liked the formula of this product and am so glad I was introduced to it. It is something I probably would have never tried it, as I swear by my Benefit Clear Brow Gel. The formula somehow manages to keep your eyebrows set in place without them going hard. It contains aloe vera so actually conditions your hairs while it sets. A hit for me. 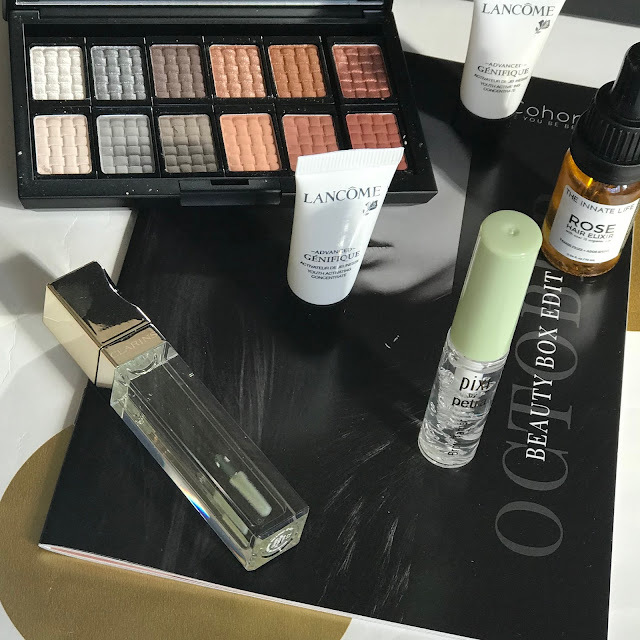 This is one of Lancome's most popular serums for all skin types. It claims to 'reduce fine lines' and 'improve skin's radiance and clarity'. For me, this was probably the biggest let down in the box, as I feel like I can go into store and ask for a sample of this. It doesn't give me that excitement or interest that I usually get when I see the contents of a beauty box. This may have been because I have received samples of this before, when browsing in store or purchasing a mascara, for example. One good thing is at least there are two samples. 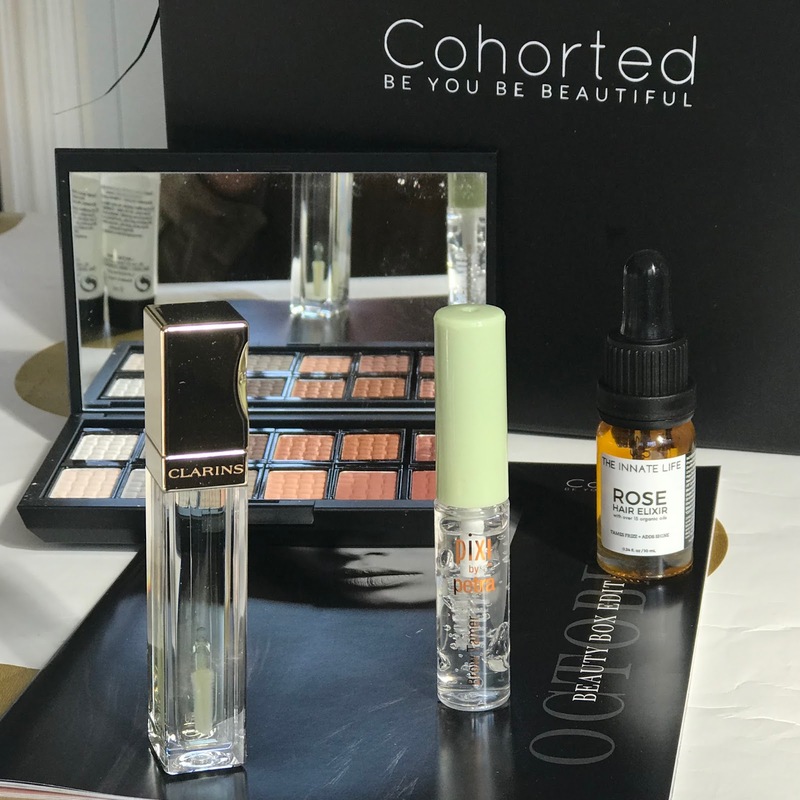 So in total, you have 10ml worth of product to help you decide whether it's the serum for you. The last product in the box is this lovely hair oil. Let me tell you, the smell of it is just so divine, I want to smother it all over my body. It is quite a small bottle and comes with a dropper, however this stuff is strong, so don't worry about the size. A little goes a long way, just a few drops of this leaves your hair looking shiny and less frizzy. If you read my post on my Curly Hair Saviours, you will know how much I struggle, but this gives my hair that nourishment it needs. It contains over 15 plant oils and can be used pre-styling for heat protection or rubbed into the scalp to condition the roots. I have really enjoyed using it and the fact it leaves my hair smelling of roses is a bonus! My overall thoughts on the box is that it is definitely worth it! You are getting high end products at a great price. The value of the box is £100, even though I'm not sure I would put a price on the samples. Even considering those, 4 out of 5 great products isn't bad. I would definitely recommend! 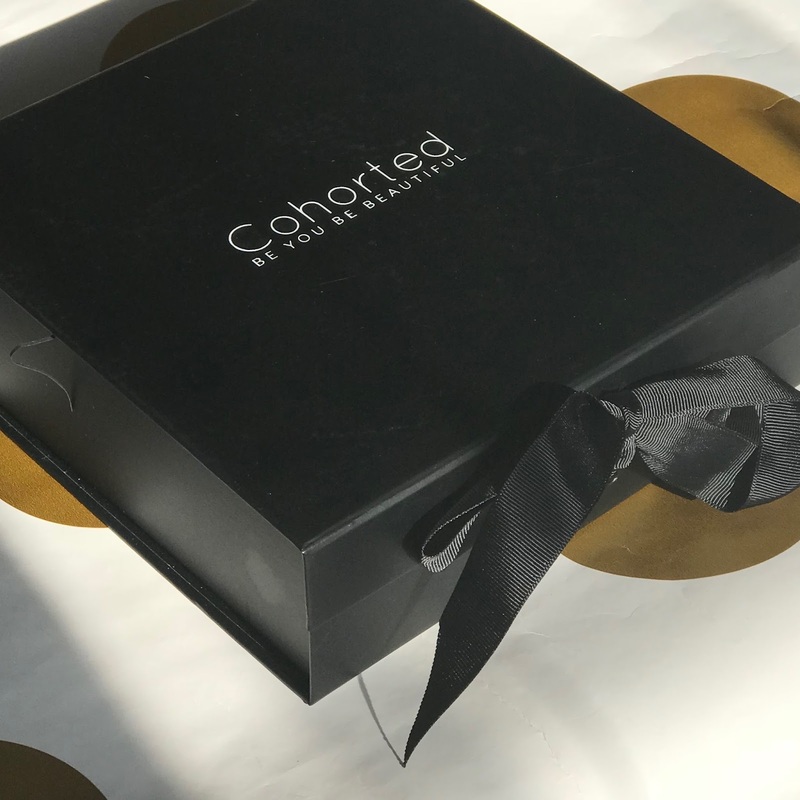 Have you purchased the Cohorted Beauty Box before? Are you tempted to subscribe? There's a good selection of high end brands in this box. I haven't tried Coherted before, but I may have to! 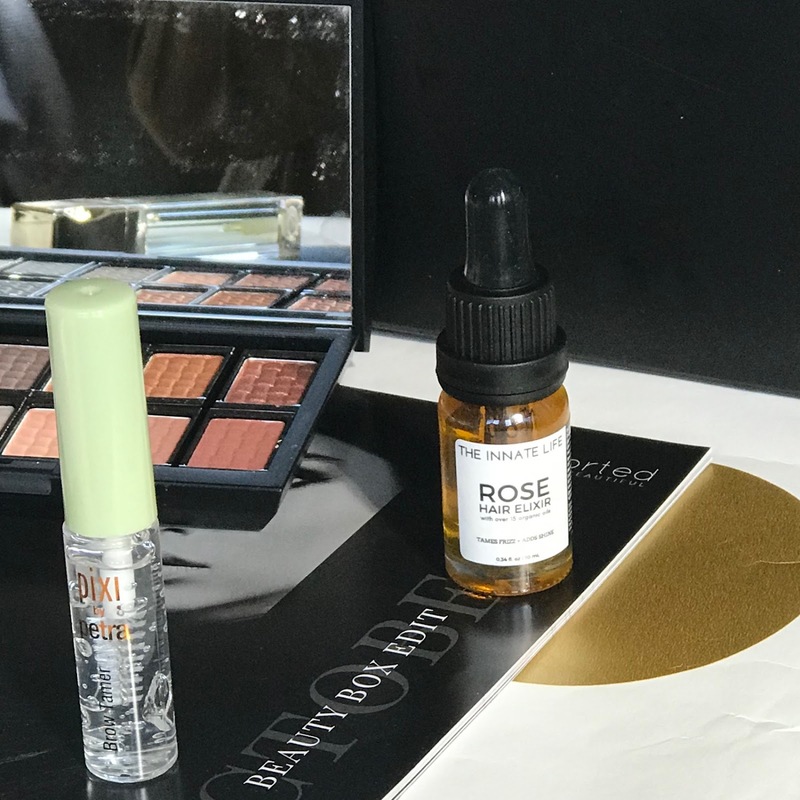 I'm not subscribed to any beauty boxes any more but this one does look pretty good! This is one of the beauty boxes I haven't got around to trying yet. The palette looks lovely. It's great that the pans are detachable! 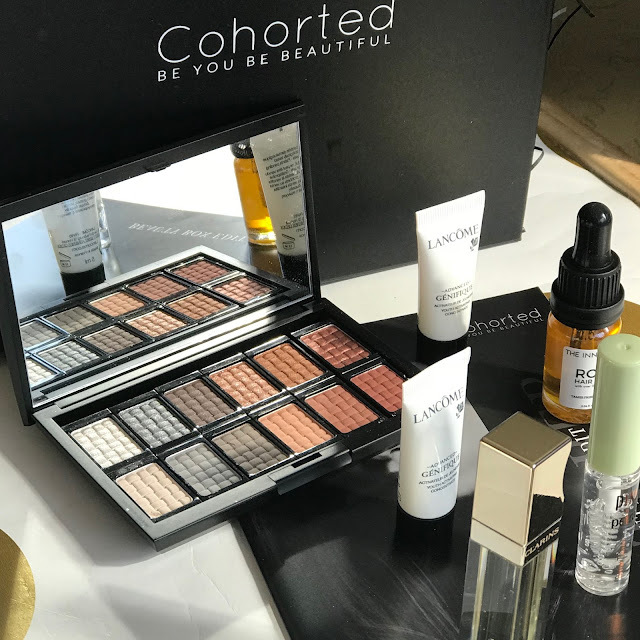 Really nice selection of products - the palette looks fab! I love that palette too, its got the perfect mix of colours!